As a client of Rich’s Web Design you receive a monthly report from Google Analytics in PDF format around the first day of EACH month. Google Analytics is the industry’s leading web statistics application that will show you valuable statistics (good and bad) about visitors to your own web site. 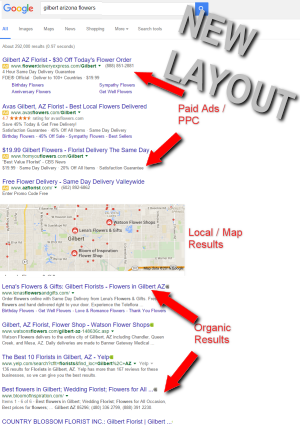 If you noticed in the last week, Google’s SERP’s (Search Engine Result Pages) has changed its layout. No longer do you see AdWords(PPC ads) in the top 2-3 places AND on the right column. You now see the top 4 places as AdWords ads. Yes, this is geared towards making more $$ for Google. Their explanation is that it now shows more like a mobile SERP. Local maps / listings also show up, just in varying places. What does this mean for you? Either you (as a business owner) may need to start using AdWords and/or your optimized phrases need to be in the #1-2 positions. 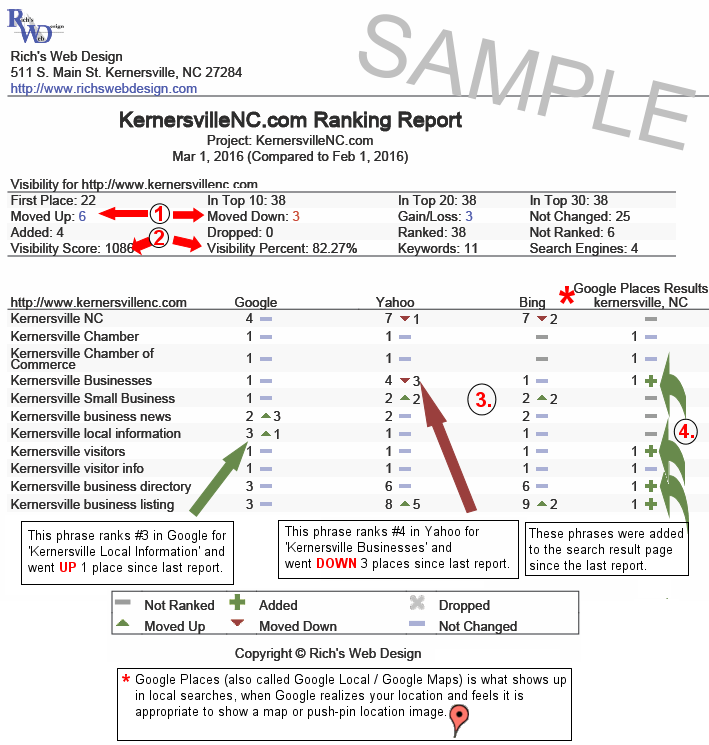 BTW, when the Ranking Reports do their calculations (see above story), they do NOT count AdWords ads. Let me know and I will be glad to answer any questions about AdWords and give you honest recommendations. AdWords can be tricky to understand, set-up and maintain, as each site requires custom settings. 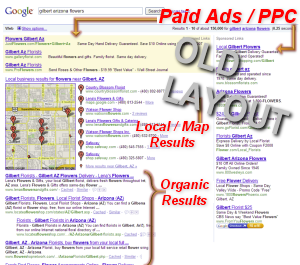 I have set-up many AdWords campaigns for clients.